Mexico is a health care dichotomy. Its medical infrastructure is quite good for the most part and can be excellent in major cities, but rural areas and indigenous communities still have poor medical coverage, and people are often forced to travel to urban areas to obtain even basic medical care. If your interest lies in “living amongst the locals”, be aware that you may be situated quite a distance from a certified doctor. As Mexican society evolves and the stresses of modern life take hold, the health of the population and indicators such as mortality patterns are becoming similar to those found in developed societies. You can expect, therefore, that any doctor you select will have already treated a large number of Mexicans for the same kind of ailments that foreigners are susceptible to. Although all Mexicans are entitled to receive medical care by the state, 50.3 million Mexicans had no medical insurance as of 2002. Efforts to increase the level of coverage are being made, and the current administration intends to achieve universal health care by 2011. There is essentially a two-tier health care system in Mexico. The public system is run by the Social Security Institute (IMSS). Private health services are also available and are typically used by the middle and upper classes. They account for about 13% of the medical system. The medical profession is quite advanced in Mexico. You will see a number of doctors displaying degrees from outside the country, and often internships from foreign countries as well. These doctors usually speak very good English, and therefore may be easier to talk to than those who are trained locally and speak only Spanish. However, if you encounter the need for a specialist or find yourself in a hospital, some of the medical practitioners you deal with may be unilingual. Selecting a doctor will be a similar process to what you would go through back home. Ask around, find out who is practicing close to your home, find out who is particularly adept at treating the kinds of ailments you typically encounter. Some doctors practice in a clinic with several colleagues, others practice alone and may have their “consultorio” in a house or storefront. Hours are usually very flexible and house calls are possible. While foreigners may want to retain their health insurance back home, it is usually less expensive and more convenient to establish an insurance scheme here in Mexico. Both public and private health insurance schemes are available. Public health insurance is available to expatriates who live full time in Mexico with an FM-3. It requires annual registration and payment of a premium in the $3,000 peso range per person. The downside of this insurance is that it does not cover pre-existing conditions unless the individual can wait two years to use the system. That is, the first time one accesses the system, the doctor will carry out a full examination and interview, and note any medical conditions that the individual is already experiencing. The insurance will not cover those conditions. For example, if a newcomer had had a heart attack prior to arriving in Mexico, the doctor would probably uncover the evidence of the heart attack, and any future heart problems for that individual would not be covered. However, if one can register into the system and not make use of it for two years, he/she becomes fully accepted regardless of pre-existing conditions, and every subsequent health problem is fully covered. An additional problem for foreigners is that few of the IMSS doctors are English-speaking. That usually necessitates bringing a translator into the examination room which adds to the cost and possibly creates privacy issues. 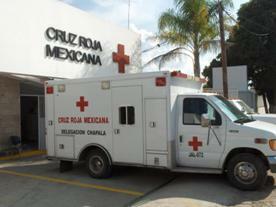 The IMSS system has its own hospitals and medical staffs located in larger towns and throughout the cities of Mexico. One such clinic is located in Chapala. Many expatriate residents at Lakeside are members of IMSS and several have had surgeries and other treatments. Overall, the feedback continues to be very positive. Several private insurers have health plans available, and are typically linked to a specific hospital or clinic. The depth and breadth of these plans is variable and the premiums will reflect the comprehensiveness. Private hospitals are quite luxurious in Mexico. Most rooms are private and include a couch where a spouse or other care-giver can rest. 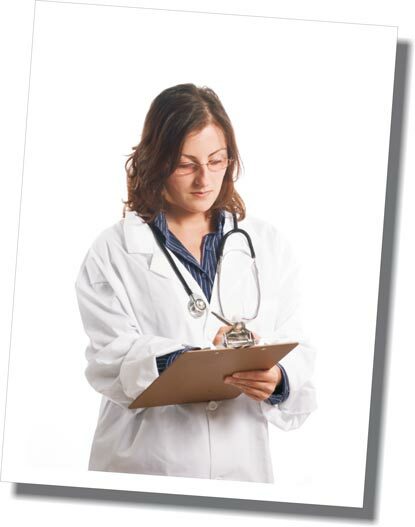 Many of the doctors and other health care professionals speak English. The quality of care is world class, but the prices are significantly higher than in the public system. It is important to understand that care will cost less than back home (if you were paying directly), but that there are still significant amounts involved, for example, in a surgery and one-week hospital stay. Partial payment for a hospital stay will be required in advance with payment in full upon discharge. Most of the private hospitals will accept credit cards. In the IMSS hospitals, the patient will usually be sharing a room with one or two other patients. If the local clinic cannot treat an ailment, the patient will be referred to the nearest urban hospital. It is expected that the patient will be cared for during a hospital stay by friends or relatives. This applies especially in the public system, but also in the private hospitals. There is usually a pharmacy attached to the hospitals, so prescriptions are not difficult to obtain, but still must be paid for. If the patient is not mobile, they will require assistance throughout their stay. In the private hospitals everything is provided including such amenities as TV and phone service. However, there are not sufficient staff to attend fully to each patient, so a care-giver is needed to assist the patient. For someone just out of surgery, that may mean 24-hour care for several days. If the hospital is in an urban area, it may mean commuting by the care-giver several times during the patient’s stay. There is no universal blood donor system in Mexico, and consequently there is no central blood bank. Each hospital or clinic is responsible for its own supply, and in cases of rare blood types, there is often little or no supply available. If a patient requires a transfusion, the hospital will expect the friends and relatives of the patient to mobilize and donate at least an equivalent amount. This is no small feat in a society that is not accustomed to regular donations. Even if sufficient volunteers are rounded up, the rejection rate when they are tested may be quite high, and it may take several weeks or even months to achieve the desired level of contributions. If a supply of the desired blood type is available, the doctor will go ahead with treatment and the patient’s friends and relatives will be expected to replenish the supply as quickly as possible. There are a variety of ambulance services available throughout the country. None are public in the sense that they are funded by tax money. The Red Cross operates one of the most comprehensive services, and in the case of traffic accidents, for example, will be the agency called to assist injured victims. Other, higher end services can be subscribed on a monthly premium basis similar to an insurance policy. These services often dispatch both a doctor and a paramedic with the ambulance. If you do not have ambulance coverage, the attending crew will expect payment upon delivery to a hospital.